Jerome is one of those old western towns that conjures up images of dusty bars and tumbleweeds, shoot-outs and sheriffs. And it really is – or was anyway. 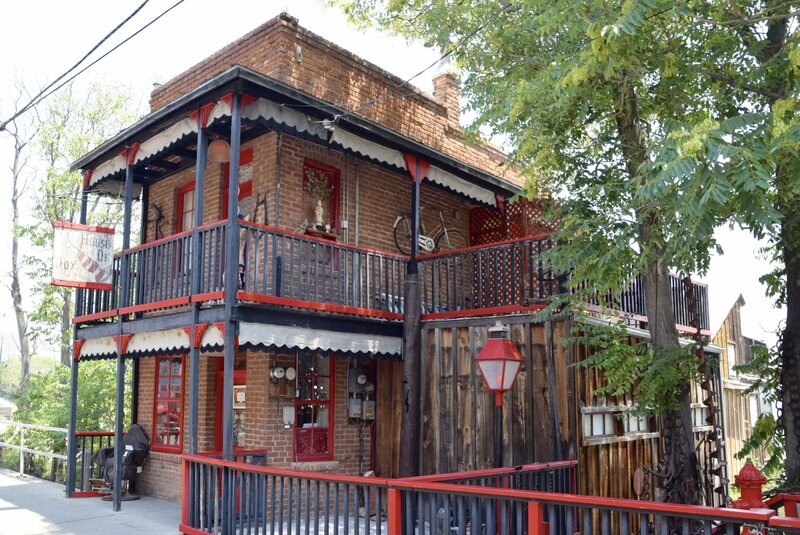 Just a short drive from Sedona to Jerome, you can visit one of those real ghost towns you hear about, in more ways than one. 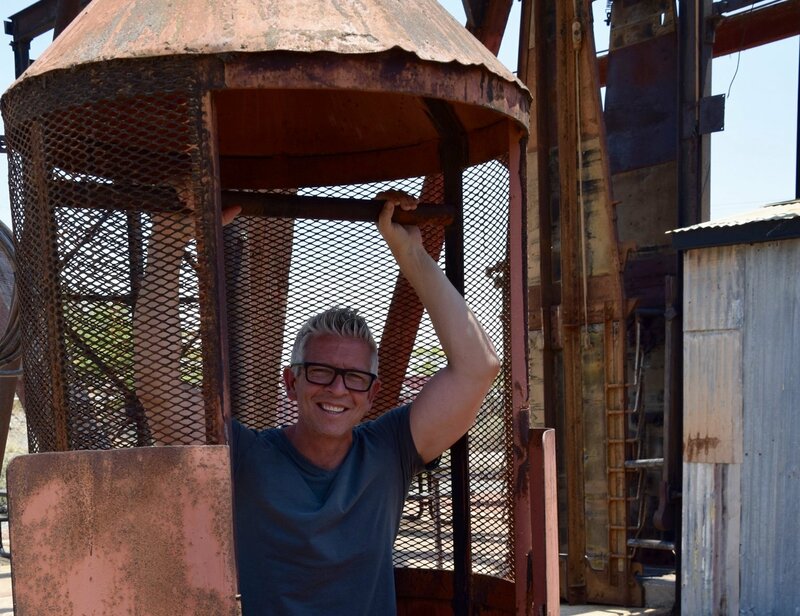 We’ve wanted to see an old western ghost town for quite some time, and Jerome fit the bill perfectly. Dubbed the Wickedest City in the World by its own inhabitants, Jerome, Arizona had its heyday during the copper mining days of the late 1800s/early 1900s. Telephones had just been invented, houses were being outfit with electric lighting, and there was a great demand for copper wire in order to run all these lines. With its caverns and mines rich with copper ore, Jerome was a magnet for miners and workers looking to make big money. Some really did – copper mines made their owners millionaires many times over. Some didn’t fare quite as well, and the town still shows some of that tarnished charm. Why call it the Wickedest City in the World? Well at its height, Jerome sported more than 30 bars, a dozen brothels and just three churches to manage the needs of 15,000 men and a few women and children scattered in for good measure. Our kids really didn’t care much about that history, but they were really interested in the Jerome ghost stories. It seems a number of those old western town residents never left, and continue to haunt the town with regular verified sightings and ghostly occurrences. 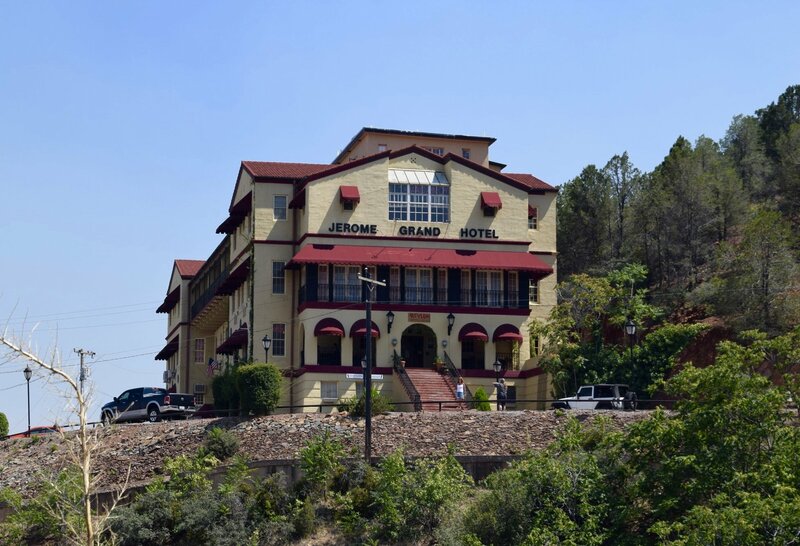 We researched a few different tours of Jerome in advance, and decided on the Ghost Town Tours‘ Spirit Walk to show us around with some backstory. The air was smoky from a fire that day, so we rode in an air-conditioned van instead, allowing us to go beyond the walking path to see things on the outskirts of the small town, like the actual copper mines and a spooky old high school. 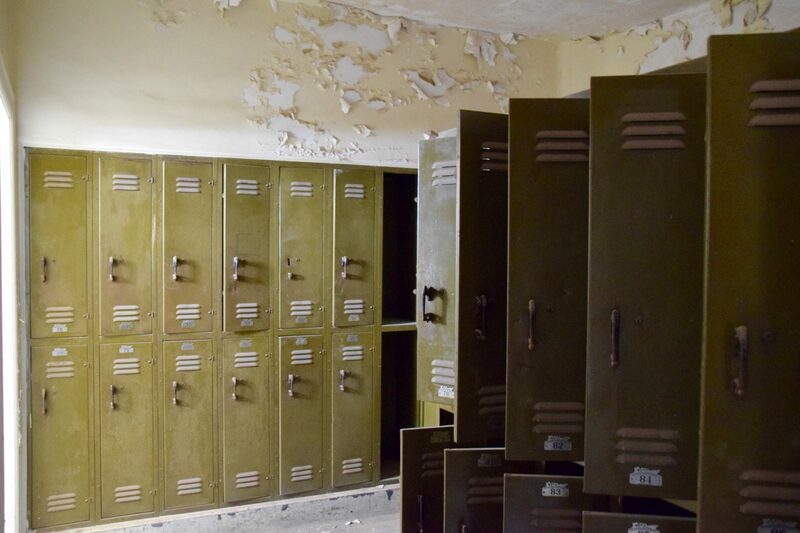 Abandoned lockers at the old Jerome High School haunted me in more ways than one! Our guide Taylor was fantastic, and we learned a great deal about the town’s history through his colorful stories. Jerome was founded in 1876 by a dude named Jerome (go figure) or more accurately his wife, who named the town after him and helped him start one of the biggest copper mines in the Western US. She must have been no shrinking violet to come all the way out here to this rough and tumble rocky town perched on a cliff. 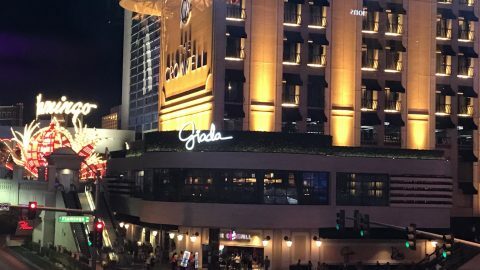 Later on, one of the world’s richest men bought the mine and built the town, railroads, hospitals, schools and even a hotel. Maybe he also had something to do with a few of those brothels? The town thrived, despite the dangerous aspects of mining and a series of deadly events. Explosives were used in the copper mining process, and several mishaps resulted in many deaths inside the mines. Another year, the Spanish Flu broke out and killed more than a third of the population, overrunning the hospital and morgue with dead bodies and requiring mass burials in giant graves. So you can see why there was a lot of unfinished business for some of these townsfolk, and they stuck around way after their normal lifetimes. Boo! The House of Joy still looks like a bordello, and is now a boutique. Jerome is a tourist town, and therefore filled with shops and restaurants to lure your dollars, and that they did. We spent money in several shops (nothing was that expensive), had some killer fudge from Copper Country Fudge, and a delicious lunch at The Haunted Hamburger. The restaurant is fun because of all its wacky and spooky decor. 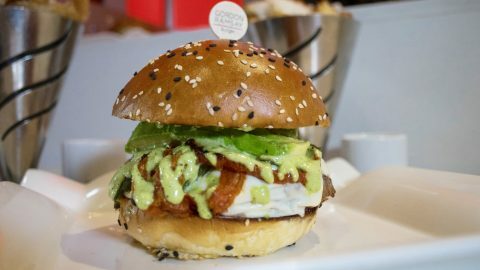 Worth the visit, and the food was good too! 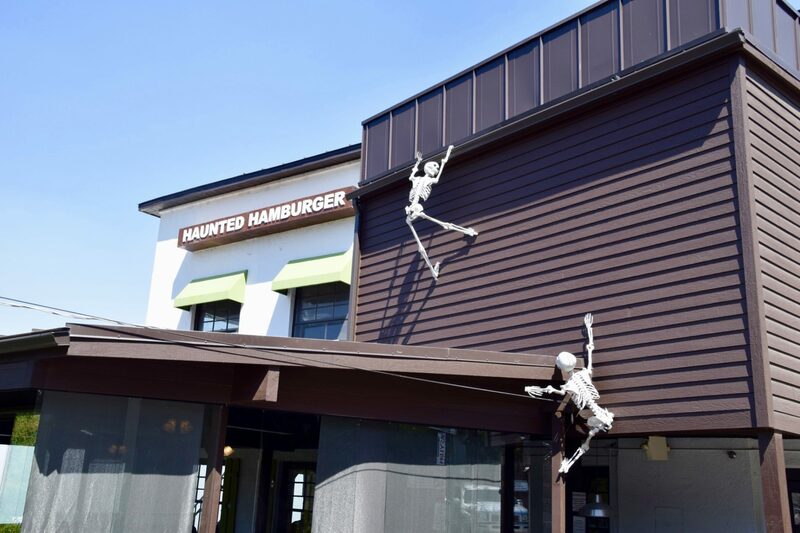 These guys were so hungry they scaled the wall at The Haunted Hamburger.